These are vintage drops that were made in Japan. 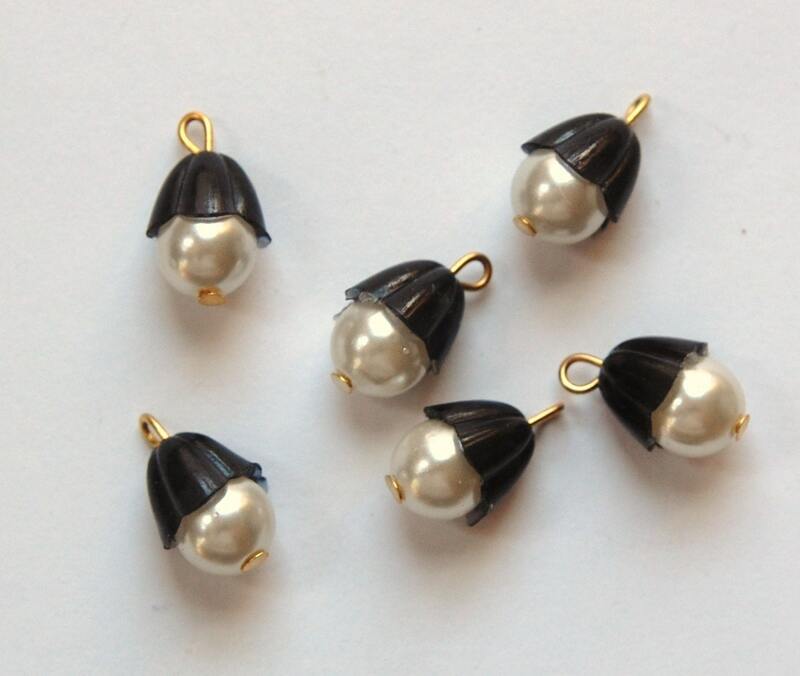 They are a pearl with a black plastic scalloped bead cap. They have a gold loop. They measure 8mm X 13mm. You will receive 6 pieces. Just as pictured, arrived quickly. Love it! Cute little vintage pearl drops!